So today’s session was all about getting comfortable on the command line and learning how to bash around a bit, manipulating files, moving through file systems developing the unix cunning which will work wonders for bioinformatic analysis in the future…though in the here and now it’s probably quite maddening and overwhelming. We googled ‘unix commands’ to obtain a cheat sheet of commands to help us if we forget. 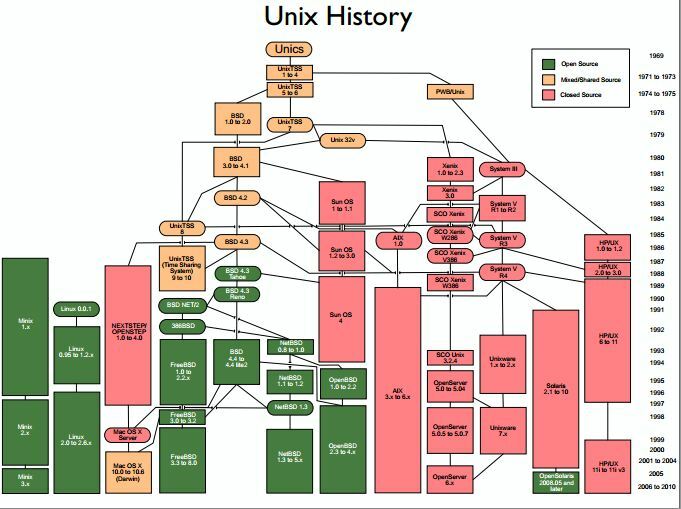 Unix was originally developed by AT&T! Steve Jobs was fired from Apple, developed Nextstep, Apple went into the tubes, re-hired Steve Jobs–Steve Jobs promptly threw their operating system out and applied Nextstep which because OSX (it’s Unix based). Again, do check out the webpage Unix Tutorial which has a run down of all the specific commands and how to use them when navigating file structures, creating directories and files, copying, viewing, contatenating, moving, deleting as well as a review of the commands we used tonight to cut, search, count and manipulate text sequence files. Also check out Lisa Johnson Cohen, one of our attendees, she has a great lab notebook with a run down of the powerpoint exercises you did in class tonight along with some pretty fetching pictures! If you can operate Unix well you can do anything, cure world hunger, advance world peace…ok maybe not but you could sure code like a maniac! Type everything avoid your mouse at all costs! 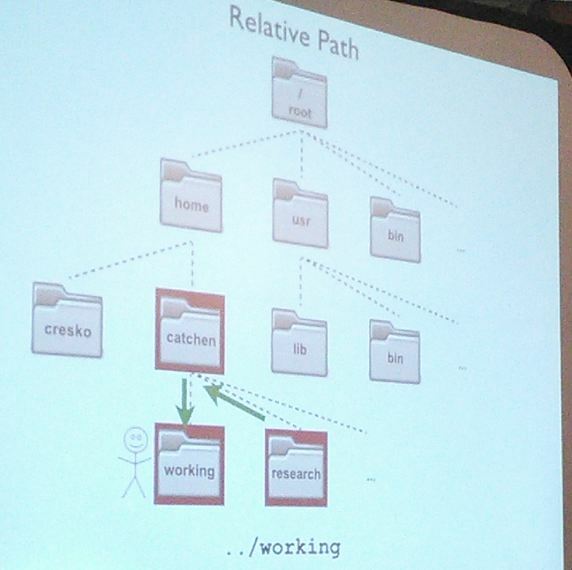 Follow the bouncing stick man… Where are you in your file system? Keyboard maps: Are absolute MAYHEM!!! We’ll attempt to hopefully sort the chaos tomorrow! Here are the commands and terms we covered tonight…do you remember what they all mean? This will give you information on all the flags/options you can use with the word count command, like ‘-l’ which means count all the lines in the file…well gee that sounds useful! 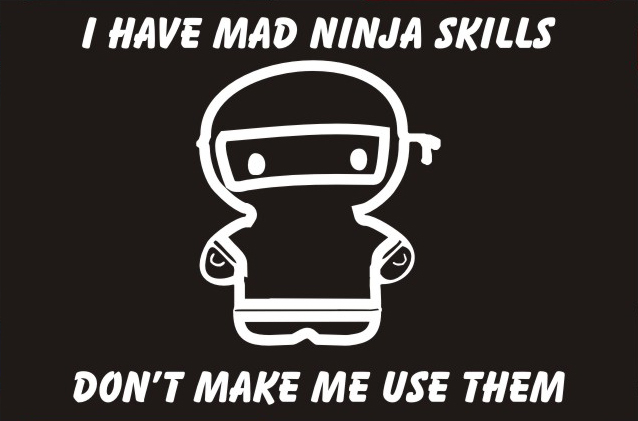 The Ninja-ry continues tomorrow! And don’t forget about Lisa’s notebook which is a great resource for reviewing the exercise you all did today, the Evomics Unix Tutorial and Julian’s slides!